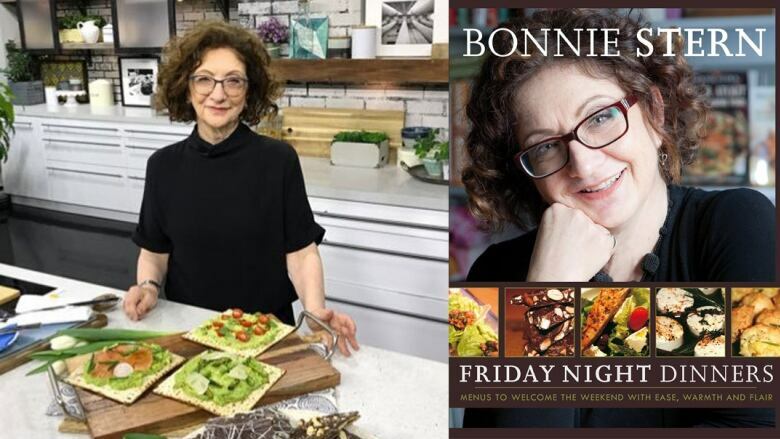 Bonnie Stern, the celebrated chef and author of cookbooks like Friday Night Dinners, answers questions on deception, happiness and family. Bonnie Stern was a mentor to many at her longtime cooking school in Toronto and her cookbooks have helped out many amateur chefs (including a certain The Next Chapter host). Some of her books include Friday Night Dinners, HeartSmart and Bonnie Stern's Essentials of Home Cooking. Below, the Toronto cook takes The Next Chapter's version of the Proust Questionnaire. What phrases do you most overuse. "I probably say 'delicious' too much, but I only say it when I really mean it." "Well I try never to lie because I don't have a very good memory. If you don't remember every lie, you can get yourself into trouble. But also I just never want to hurt anyone. So maybe that's the time I might lie." "I do a lot of different things, but I think the thing that I love doing the most is being a social worker in the kitchen and helping people feel more comfortable cooking, helping them eat healthier and helping them have more fun." "My favourite journey is coming home. I travel a lot, but I'm not a natural traveler so I get really excited about coming home and then cooking the things that I learned while I was away. I hate being away from my family." "Well I live in Toronto and I would always like to live in Toronto because I feel so at home here. I have a very large family from my mother's family — she had seven sisters and three brothers, so we have a lot of people in Toronto. We have a lot of people in other places too and we have a very close family. I love being in Toronto also because I get lost easily and at least I know my way around." "Perfect happiness for me is being with my family. Friday night dinner is the Jewish family night when all the family gets together. Even though I don't make my kids come, they really love to come. It just means a lot to me. That's when I'm the happiest — when everybody's together and when I'm cooking for them. But even if we go out on a Friday night, I'm happy." Bonnie Stern's comments have been edited for length and clarity.